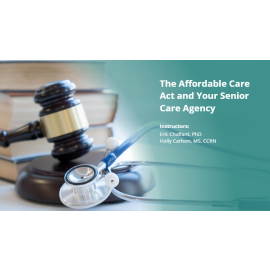 The purpose of this course is to help owners and operators of senior care agencies understand the impact of the Patient Protection and Affordable Care Act (known as the ACA) on long-term care providers and nursing facilities. This course covers legal requirements imposed by the ACA as well as state-to-state expanded healthcare options made available by ACA demonstration programs. 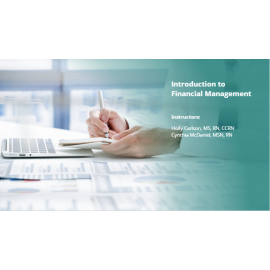 The purpose of this course is to familiarize the learner with introductory information related to financial management. Common terminology and generally accepted accounting principles are presented. 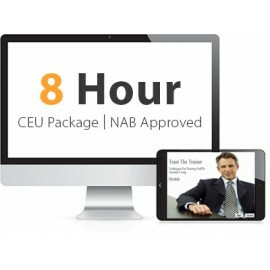 This course engages the learner in budgeting and financial performance content. 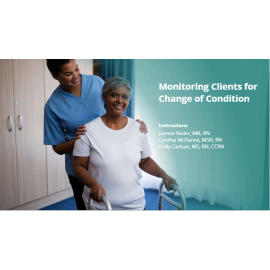 This course engages the learner in ways to monitor financial performance to maintain the highest quality of care for clients. The purpose of this course is to familiarize the learner with the functions of the endocrine and immune systems. 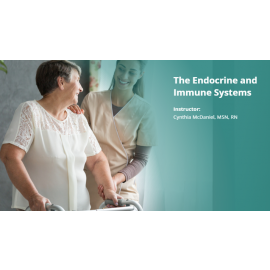 Information about the endocrine and immune systems will be presented along with material about specific disorders and care steps for each. This course engages learners in recognizing how to care for a person with endocrine and immune disorders. The purpose of this course to help healthcare providers prepare for emergencies. The content of this course focuses on the components that should make up a general emergency preparation plan, including hazard assessment, communication, and evacuation and sheltering-in-place procedures. 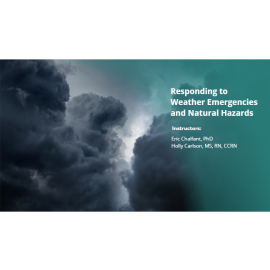 This course also provides tips and guidelines for what healthcare providers should do before, during, and after major natural disasters and human-caused emergencies. 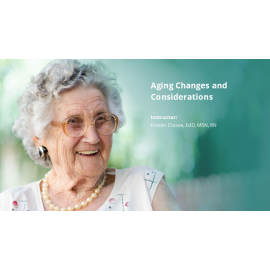 The purpose of this course is to familiarize the learner with the physical, emotional, and spiritual changes that happen with aging. The myths and facts about aging, common changes experienced in the aging process, and the purpose and function of each body system are presented. The course engages learners in how to assist older adults as the aging process occurs. 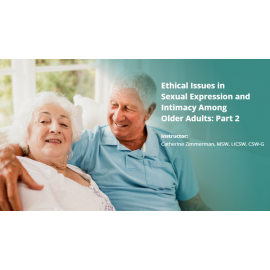 The purpose of this course is to familiarize the learner with information about ethical issues in sexual expression and intimacy among older adults. 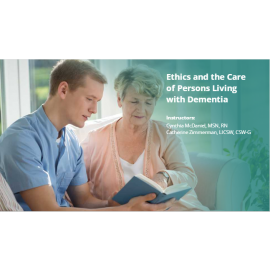 This course will describe challenges related to sexual expression in older adults living with dementia, particularly where sexual consent capacity may be absent, and the responsibilities of residential care settings. An ethics framework will be described, and case scenarios will be used to illustrate ethical principles. The importance of a team approach to decision-making using an ethical process will be discussed. 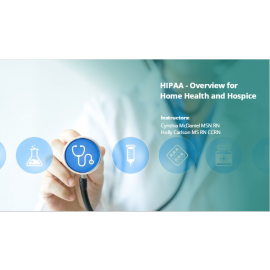 The purpose of this course is to familiarize learners with the effects and implications of polypharmacy in the senior population. 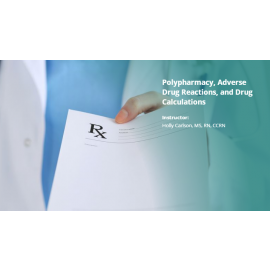 A review of frequently used PRN medications and calculation methods are presented. This course engages the learner in content related to signs and symptoms of medication side effects and presents the difference between an adverse drug reaction and a side effect. A systematic process for medication order review and verification is presented, and how to interact effectively with the pharmacy is outlined. The purpose of this course is to help the learner understand what defines abuse, the prevalence of and different types of abuse, and their associated consequences. Risk factors that make people vulnerable to abuse and their reasons are discussed, along with guidelines for recognizing and preventing future occurrences of abuse. The course provides a review of mandatory reporting requirements including information about who is required by law to report abuse, how to report suspected or actual instances of abuse, and to whom abuse must be reported. It provides information about what can be expected once suspected or actual cases of abuse have been reported. This purpose of this course is to familiarize the learner with information about substance use disorders and treatment. Information about the history and prevalence of misuse, epidemiology, health effects, and treatment for alcohol, opioids, cannabis, and stimulants as specific substance use disorders will be presented. The purpose of this course is to familiarize the learner with the skin and pressure injuries. Information about the anatomy of the skin, skin health, and changes to the skin with aging are presented. The course engages the learner in how to prevent, recognize, and respond to pressure injuries. 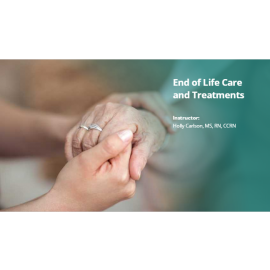 The purpose of this course is to familiarize the learner with elder abuse and neglect. 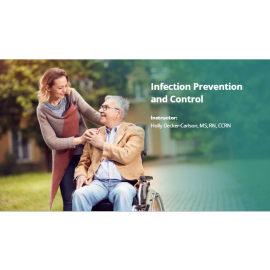 This course will introduce the learner to the problem of elder abuse, its consequences, and the risk factors that make people vulnerable to abuse. We will learn about the different kinds of elder abuse, why they happen, how to recognize their effects on victims, and how to prevent them happening. 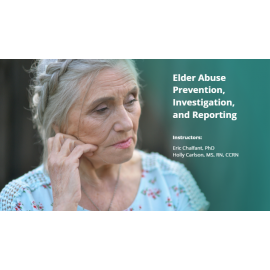 We will also learn about the obligations of healthcare providers to report suspected elder abuse, as well as how to make a report to the proper authorities and intervention partners. 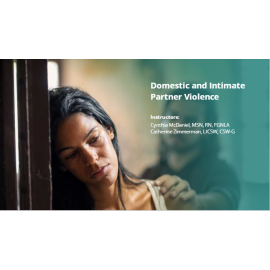 The purpose of this course is to familiarize the learner with basic information concerning domestic and intimate partner violence (IPV). Information about IPV’s prevalence, characteristics, legal protections and risk factors will be presented. The cycle of abuse will be explained along with issues related intimate partner homicide. Screening and intervention protocols will be described along with community resources available to people experiencing domestic and intimate partner violence. The purpose of this course is to fadonmiliarize the learner in with the knowledge, skills, and abilities required to recognize, prevent, and investigate sexual harassment complaints in the workplace.